In England we are currently in the middle of a heatwave – the hottest spell for seven years. It’s been given a grade 3 by the Met office, I don’t know what exactly it means but it sounds serious 🙂 And I’ve become concerned about writers in this heat. 1. Reward yourself – for every 1,000 words you write or edit, have an ice-cream. Calories don’t count if you’re hot. Fact. 2. Change your story setting – if you’re writing a dark book in winter, change it to a summer romance where everyone spends the day around a pool. 4. Be careful writing outdoors – if you take your laptop into the garden because of sun glare you might end up squinting and get wrinkles. I wear sunglasses and find it hard to see the screen clearly but this allows me to assume what I’m writing is excellent so win win. 5. Support your writer friends – the authorities warn us to keep an eye on vulnerable people so let’s all check in with each other on Twitter obv (writers don’t talk or go out) to make sure we haven’t melted like an evil witch. Or failing this, close your laptop and lie out in the garden as it will probably be raining next week and we all need a break now and then. Do you have any survival tips to help your fellow writers? Pen and paper in the shade! It’s a must. Like revising for exams. Do the washing up (I know that’s a painful thought, but trust me, it’ll be worth it), fill empty washing up bowl with ice cold water, put bowl under desk, put feet in bowl. Amazingness. That may be going a bit far, writers are powerful but not sure we have that kind of power! I don’t use a laptop, so I don’t have to worry about my legs getting too hot. 🙂 I agree about changing the setting of your story — it’s a lot harder to write a winter scene when it’s blazing hot outside! It’s weird isn’t it, rainy dark days are better for a creepy story and the sunshine makes you want to write about summer romances! I was once reading tips on how to combat a fever and they said that icy poles won’t make you gain weight when you’re very hot – they just burn up! So I ate me 4. ….which is actually how many I’d eat without a fever, actually. I’ve gone for the asme topic this week too with the emphasis on enjoying it while it lasts too. Anyway, must dash, just off to the pub! Hope you enjoyed the pub! This is an amazing discovery. I’m going to go with this. I’m laughing a lot at this!!!! That storm last night and the weather today certainly gave me a boost of ideas! It’s such freaky weather right now! Love this! My laptop is a couple of years old and slightly temperamental, so I just go with it. 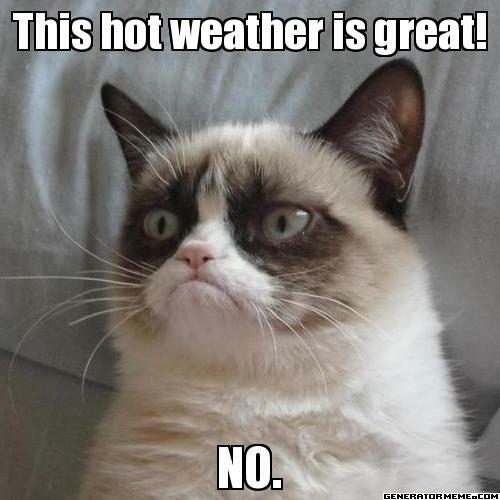 When it gets too hot, it just kind of stops working (actually, this is a bit like me!). I’m all for lying in the garden! Gin, Tonic, Ice and a slice. Nothing else hits the English hot spot quite like it. I’d go for Pimms and Lemonade, yum! I’m definitely going to put my pants in the freezer.